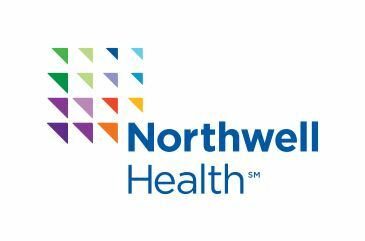 NEW YORK, NY--(Marketwired - November 05, 2015) - In advance of the North Shore-LIJ Health System's name change to Northwell Health in January, New York State's largest health care provider this week unveiled its new logo and visual identity to more than 61,000 employees. The logo will support the health system's efforts to introduce the Northwell Health name to the public as part of a multi-year process to build recognition of the new name and distinguish the organization in a cluttered health care market. "With our new name comes a whole new identity. Our new look presents a fresh, modern face to the world with a vibrant palette of colors representing our vast health system working in unison to deliver world-class care," said Ramon Soto, the health system's chief marketing and communications officer. "We chose a logo that brings together our 21 hospitals and our team of over 60,000 doctors, nurses, medical professionals, scientists, innovators, thinkers and trailblazers, working collaboratively toward the common goal of superior healthcare for everyone. Our size and connectivity gives us strength. We have a powerful story to tell and our new logo captures this spirit." The logo, developed by branding consultant firm Monigle, was introduced to the health system's employees as part of an overall employee communications and engagement effort that will continue into 2017. The health system's internal communications platform includes a revamped employee Intranet, social media, multi-media campaigns and in-person experiences. In addition, a new employee app, called myNorthwell, was launched to drive employee communications and engagement efforts centering on the new Northwell Health name. In September, the North Shore LIJ Board of Trustees unanimously approved the health system's name change to Northwell Health, which comes 18 years after the historic merger that created the North Shore-LIJ Health System. The names of all of the health system's 21 hospitals will remain unchanged, in recognition of their rich and unique community-based histories. The nation's 14th-largest health system, North Shore-LIJ delivers world-class clinical care throughout the New York metropolitan area, pioneering research at The Feinstein Institute for Medical Research, a visionary approach to medical education highlighted by the Hofstra North Shore-LIJ School of Medicine, and healthcare coverage to individuals, families and businesses through the CareConnect Insurance Co. Inc. North Shore-LIJ cares for people at every stage of life at 21 hospitals and about 450 outpatient physician practices throughout the region. North Shore-LIJ's owned hospitals and long-term care facilities house more than 6,600 beds, employ more than 15,000 nurses and have affiliations with nearly 13,600 physicians. With a workforce of more than 61,000, North Shore-LIJ is the largest private employer in New York State. For more information, go to www.northshorelij.com.